Your potential customers are only in buying mode for your product or service 3% of the time. And when you think about your own life that number actually seems a little on the high side. I’m sure if varies by product and service. Over the course of your life, for example, you probably don’t spend 3% of your waking hours thinking about your next car. But you probably think about your next meal a little more than 3% of your waking hours especially when you’re on vacation. But in general your customers are not thinking about you and your product 97% of the time. Social media, content marketing and a few other marketing efforts help to focus on the 97% of your audience’s attention. That’s why you see businesses sharing funny GIFs, images and videos throughout the week. It seems irrelevant, but they know what their customers find funny and entertaining and it helps to keep the business in the minds of the audience so that when the 3% buying mode kicks in that the business is who the audience is thinking about. But can you use social media to connect with your audience during the 3% of the time when they are in buying mode? It’s a little bit different, but you can use social media this way. The reason you want to do this is obvious. If your customers only spend 3% of their time in buying mode you don’t want to miss out on any of those moments. Here is how social media can help make sure you don’t miss any buying mode moments. Note: These tips will mostly be relevant to using Twitter, but they may work just as well or better on other social sites. You might be surprised to find out how often your target customers are expressing a need for a product like yours on social media. People express their challenges or struggles on social media in hopes that someone out there is listening and that they will provide a solution. We live in a great time because we can reach out like that and there are usually solutions to most challenges we have. One issue, however, is that we aren’t always aware of the solution. Does anyone want to or know anyone that would want to write weekly posts for a personal blog I own? I told him to follow me so I could send a direct message and we took things from there. 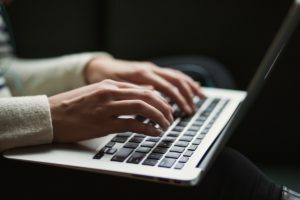 They’re not directly asking for help from a freelance writer, but they’re expressing a problem that could potentially be solved by a freelance blogging service. If you know your customers well then identify a few key phrases they might say when they need your product and search for those phrases on Twitter. And check those phases daily to see if you have potential customers. You could reach out with the offer to answer their questions. You might also find that customers that have purchased your product already, but they’re wondering how to best use it. You want to setup a way to watch for these types of updates too because your customers are obviously most happy when they’re getting the most out of your product. And they’re more likely to be repeat customers and they’ll refer people they know. This one builds on the last segment. People will mention your product and sometimes they’ll mention your brand. Don’t limit it to just your own brand and products. Also listen to what people are saying about your competition. There may be opportunities to jump into the conversation where you can win new customers. This one can get a little tricky. You don’t want to completely throw your competition under the bus. You also don’t want to say anything about your competition that isn’t true. That can lead to some bad karma. But you should be find presenting your brand as an alternative. Finally, listen to industry influencers and particularly look at their mentions. This means that on Twitter you search for @Influencer where you replace “influencer” with the influencer’s Twitter handle. I’m not an influencer, but you can see my mentions by searching for @dayneshuda on Twitter. Then click on the Live option at the top. This allows you to see what people are asking influencers in your industry. What you’ll find is that people often ask all kinds of questions to influencers. Those influencers are often busy and don’t have time to respond to all those questions. But there might be relevant questions that you could answer to earn trust. Some of the questions might even relate to your product and you could present your product as a potential solution. When you’re customers are only in buying mode 3% of the time you can’t afford to miss any moment when they’re thinking about your product. You can use social media listening to help figure out when more of your customers are expressing a need for your product. Follow the tips above and it should help you get a few more customers in the future.